This article is about the British television series. For other uses, see Robot Wars. The show was first broadcast on BBC Two from 20 February 1998 to 23 February 2001, on BBC Choice from 8 October 2001 to 7 February 2003 (later repeated on BBC Two), on Channel 5 from 2 November 2003 to 28 March 2004 before being revived in 2016 and broadcast on BBC Two from 24 July 2016 to 7 January 2018. To date, the show has been broadcast as 10 main series each centred around a single competition, two "Extreme" series with several unconnected events and several special episodes. BBC Choice was a BBC TV station which launched on 23 September 1998 and closed on 8 February 2003. It was the first British TV channel to broadcast exclusively in digital format, as well as the BBC's second non-terrestrial channel launch. Jeremy Clarkson presented the first series, with "Master of Mayhem" Craig Charles taking over for the second to seventh series. Philippa Forrester co-hosted the first three series, the fifth and Extreme 2. Forrester also hosted the spin-off series Robot Wars Revealed from 1998 to 1999. The fourth series and Extreme 1 were co-hosted by Julia Reed and the seventh by Jayne Middlemiss. Jonathan Pearce provided commentary for all series. The revived series were hosted by Dara Ó Briain and Angela Scanlon. Craig Joseph Charles is a British actor, comedian, author, poet, television presenter and DJ. He is best known for playing Dave Lister in the science fiction sitcom Red Dwarf and Lloyd Mullaney in the soap opera Coronation Street, as a funk and soul DJ on BBC Radio 6 Music and BBC Radio 2, and as the presenter of the gladiator-style game show Robot Wars from 1998 to 2004. Philippa Forrester is a British television and radio presenter, producer and author. She has presented shows such as Tomorrow's World, The Heaven and Earth Show and Robot Wars. She has also made wildlife programmes with her husband, Charlie Hamilton James. Michael Francis Foley is an American author, actor and former professional wrestler and color commentator currently signed to WWE. Rebecca Grant, is an American actress. Grant is a graduate of the University at Buffalo, The State University of New York with dual degrees in psychology and communication (1992). She was a hostess on NFL Under the Helmet and Robot Wars: Extreme Warriors television programs. After losing her mother to breast cancer, Grant has become an advocate for the Susan G. Komen For The Cure Foundation and participates in the annual Revlon Run/Walk to Eradicate Cancers in Women. With a peak audience of six million viewers in the UK during the late 1990s, the format went on to become a worldwide success, showing in 45 countries including the US, Australia, Canada, China, India, Germany and Italy. In March 2003, it was dropped by BBC Two after eight series and Mentorn announced it was making 22 episodes for Channel 5,  concluding with The Third World Championships broadcast in March 2004. Channel 5 later axed the show after one series due to low ratings. Between 1995 and 1997, three further Robot Wars events took place in America and in 1995, Profile Records partnered with production company Mentorn to produce and televise a Robot Wars event in the UK. Mentorn acquired the worldwide television rights from Profile in 1995 after Tom Gutteridge (the head of Mentorn) had seen an amateur tape of a San Francisco event. Razer, one of the most successful robots in the original series. It had the ability to puncture competitors. Gutteridge and one of his producers Steve Carsey created a television format based on the Robot Wars concept. They produced a live event opposite BBC Television Centre in Wood Lane, Shepherd's Bush, London and hired Derek Foxwell to build 3 combat robots, 2 of which were named The Mouse and Grunt who would eventually take part in the first UK series of Robot Wars, to take on three American robots, Thor, La Machine and The Master, all of which were veterans of the original American competition. The Controller of BBC Two, Michael Jackson, attended the event, which was not filmed and he promised to commission a series. However, it was not until 1998 that a subsequent Controller of BBC Two, Mark Thompson, fulfilled Jackson's promise and actually commissioned 6 episodes. Gutteridge and Carsey were producers and Foxwell was the technical supervisor and senior technical consultant. He drafted the rules and regulations and was in charge of the pit area and the technical team, which scrutinised the robots, got them on and off stage and helped the contestants prepare and repair their robots. Mat Irvine, initially a member of the technical team, served as a member of the judging panel in 2002 and 2003. The three person judging panel consisted of Noel Sharkey (head judge on every series: 1998–2003, 2016–), Eric Dickinson (1998), Adam Harper (1998–99), Martin Smith (1999–2003), Myra Wilson (2000–01), Mat Irvine (2001–03), Sethu Vijayakumar (2016–) and Lucy Rogers (2016–). On the first day, I was in the dressing room and looking in the mirror and looking down at the arena. And they were pulling the robots into the arena on an invisible twine because nothing was working. And I was thinking: "Oh my God, what have I done with my career?" And you know, within the blink of an eye, it was the most watched show on BBC2. Profile sought no input or consent from Thorpe before doing this and this aggravated the already troubled relationship between Thorpe and Profile Records and indirectly spurred legal disagreements surrounding the ownership of the Robot Wars concept. The legal proceedings surrounding these would last until 6 February 2002. Mentorn used Thorpe as a Consultant on the series, however and the initial series of Robot Wars in the UK was broadcast over six weeks in February and March 1998. It was an immediate hit, with more than two million viewers and a further 18 episodes were commissioned by the BBC that year. 155 episodes were produced in total and the show was seen in 26 countries. Two series were produced in the US for The National Network (now Paramount Network) and a version was also shown on Nickelodeon. Series were also produced in many European countries. Although the series had various directors and producers, all were produced in the UK by Mentorn and executive produced by Tom Gutteridge and Steve Carsey. The initial series were staged in various film studios around London but the stage and pit area became too large to fit into any of the conventional studios, so filming was later moved to an aircraft hangar at RAF Newton. Viewing figures dropped significantly in the early 2000s, reaching only 1.2 million in the sixth series - the final to be broadcast on BBC Two. Following its move to Channel 5 in November 2003, the show first began airing in a new Sunday night slot and launched with one million viewers; however ratings fell quickly to 800,000 resulting in the show moving to Saturday nights after just three episodes. After Robot Wars ended, an edited half hour version of this series aired on Fox Kids (later Jetix) from 2004. Carbide, the winning robot in the second rebooted series. A fast-spinning bar is its primary weapon. Immobilisation: A robot that is unable to move is counted out. In the original series 30 seconds of immobility were necessary, in later series this was reduced to 10 seconds. Pit: One of the arena hazards is the pit of oblivion, a large square hole in the arena. A robot that falls or is pushed into this is eliminated. Removal from arena: If a robot is ejected from the arena — typically by the flipper of an opponent, it is eliminated. In the original series the perimeter of the arena was a short barrier, in later series the wall was higher, making this type of elimination harder. In the rebooted series, only certain areas of the arena were not fully walled off. This meant that removal from the arena was only practical in certain areas. If none of the above conditions were satisfied, a panel of three judges (listed below) scored the competitors on style, control, damage and aggression. Aggression: The extent to which the robot was on the 'front foot' against the opposing robot as opposed to staying out of trouble. Damage: The amount of damage inflicted on the opposing robot. Control: The ability of the driver to push opposing robots, avoiding the arena hazards and if they're attacking how they're meant to. In the original series, the Aggression, Damage, Control and Style points were weighted 3:4:2:1 respectively. In the 2016 series the weightings for Aggression, Damage and Control were 3:2:1,  with "Style" no longer a judged criterion. Although the format changed several times over the years, these rules remained the same across all series and competitions. 1 Six robots in six heats. The winners met in a single melee fight to determine the champion. All six robots took on the Gauntlet with one eliminated. The remaining five took part in a trial with a further one eliminated. The final four took part in one-on-one Arena battles in a knockout format. There was no Semi-Final held The Final was held as a melee at the end of the final heat. 'British Bulldog', 'Football', 'Labyrinth', 'Snooker Octagon', 'Stock Car' and 'Sumo Basho'. 2 Six robots in twelve heats. The winners of each heat went into one of two semi-finals. Two robots from each semi-final reached the final show. All six robots took on the Gauntlet with one eliminated. The remaining five took part in a trial with a further one eliminated. The final four took part in one-on-one Arena battles in a knockout format. Arena battle knockout of two rounds plus a third place playoff. 'Joust', 'King of the Castle', 'Pinball Warrior', 'Football', 'Skittles', 'Sumo Basho' and 'Tug of War'. 3 Eight robots in sixteen heats. The sixteen heat winners reached one of two semi-finals. Two robots from each semi-final reached the final. Arena battle knockout of three rounds. Arena battle knockout of two rounds. 'Pinball Warrior', 'Football', the 'Middleweight Melee' and 'Walker Battles'. 4 Six robots in sixteen heats. The sixteen heats winners reached one of two semi-finals. Two robots from each semi-final reached the final. Three-way Arena melee first round before two Arena knockout rounds. 'Pinball Warrior' and 'Sumo Basho'. 5 Eight robots in twelve heats. The twelve heat winners reached one of two semi-finals. Two robots from each semi-final reached the final. Arena battle knockout of three rounds Arena battle knockout of two rounds, with the three losers of the first round having to compete in a second-chance three-way melee for a place in the second round. 6 Arena battle knockout of three rounds. The first round as a four-way melee with two qualifiers. 8 Eight robots in five heats. The five heat winners would move on to the grand final along with a wildcard robot chosen by the judges. Round 1 was done the same way as series 6 and 7, but the two winners of each group battle go into a mini league where they fight its three opponents once each, with 3 points for a knockout win, 2 for a judges' decision win and 0 for a defeat of either form, with the top 2 advanced into the heat final and the bottom 2 eliminated. In the event two robots are tied for a qualifying position, the robot who won their bout against the other proceeds. There was no Semi-Final held. The final works the same as the heats except the group battles feature three robots as opposed to four, with one robot being eliminated in each melee, similar to the heats of series 4. 10 Six robots in five heats. The heat winners move on to the grand final. Robots in second and third place entered into 10 way wild card battle of which the winner would also move into the grand final. Round 1 was two 3 way battles similar to series 4 which the winners would progress to the heat semi-final. Losers would compete against the losers from the opposite round 1 from which the winners would progress to the heat semi-final. After the two semi-finals, there was a third-place match for a place in the 10-way wild card battle and a first-place battle of which the winner would proceed and the loser would also compete in the 10-way battle. The 10 way wild card battle took place then the winner joined the 5 heat winners. The rest of the final worked the same as the heats except for the omission of the third-place match. There were also two series made for the UK, Robot Wars Extreme, which did not focus on a single championship. All-Star Tournament Knockout tournament featuring the most well-known competitors. Annihilator Six-way battles with one robot eliminated per round. Challenge Belt Where robots would try to defend their honour for the challenge belt. Mayhems Three-way battles to progress to the series annihilators. Tag Team Terror Two robots team up and fight tag-team style (though usually all four robots were out). Vengeance Battle This allowed robots with unfinished business or grudges to settle things once and for all. Wildcard Warriors Newcomers take on established robots. New Blood A new robot tournament. Iron Maidens Women took control. Minor Meltdown Children took control. Robot Rampage A tournament with robots in lower weight classes such as antweight, featherweight, lightweight and middleweight. University Challenge All robots were entered by Universities. Commonwealth Carnage All robots were from teams based in the Commonwealth. European Championship All robots were from teams based in Europe. Dara Ó Briain (2016–2018), co-host with Angela Scanlon. Clarkson left Robot Wars after the first series and was replaced with Craig Charles. Charles, well known as playing the character Dave Lister in the science fiction-themed sitcom Red Dwarf ,  was seen as taking the programme and its contestants more seriously than Clarkson and was more enthusiastic while presenting it. Charles would close each episode with a four line poem ending with the words "Robot Wars". Charles presented Robot Wars until it ceased production in 2004. "My son, Jack, was a fan of the first series and said I should get involved. So I made a few phone calls and the rest is history." —  Craig Charles speaking on how he got involved with Robot Wars. In 2016, Dara Ó Briain and Angela Scanlon were announced as the hosts of the eighth series, with Jonathan Pearce returning as commentator. They reprised their roles in the ninth and tenth series. Throughout the series, house robots acted as obstacles to competing robots in battles and challenges. House robots were permitted to attack robots that were in the Corner Patrol Zones at the corners of the arena or upon the submission of a competing robot. The house robots were an intrinsic part of the programme's success and merchandising of these robots was highly successful. Furthermore, the house robots were not subject to the 100 kg (220 lb) weight limit or weapon rules that contestant robots had to adhere to, the most notable example of this was Sergeant Bash's flamethrower. From the Fourth Wars, a non-competitive "Refbot" was present during fights. This robot conveyed officiating signals (such as counting out immobile competitors) on the arena, gave occasional nudges to help battles along and could deploy a fire extinguisher where necessary. Bold text indicates house robots that returned for the new series. In 2016, a new arena was constructed in a warehouse in Renfrew, on the outskirts of Glasgow, for use in the rebooted series. This arena is 15 metres (49 ft) square, with a 6 mm (0.24 in) steel floor  and higher bulletproof walls, making it harder for robots to be thrown out of the arena. Arena Sidebars - The First Wars Only - These were parts of the arena side fence that were on the floor. These trapped robots and potentially immobilised them if they could not drive off. The Patrol Zone/PZ - The First Wars only - Four large squares in the corners of the arena marked with striped tape, each occupied by one House Robot and a hazard. Once a competitor robot entered one of these zones, it was open to attack by the House Robot within. The Patrol Zones were much like the CPZ's that appeared in later series but were much larger. Floor grilles - The First Wars Only - Grille floor panels that, like the arena sidebars mentioned above, were designed to trap robots and not allow them to drive off. Proved much more effective than the sidebars. Floor spikes - The First Wars to The Third Wars and Series 8 onwards - These were pneumatic spikes located in several positions on the arena floor that came up whenever a robot drove over them. They trapped robots and on occasion flipped them. They were removed for Series 4 after causing many upsets during The Third Wars, where robots currently winning battles would be overturned and then lose. This most notably happened during Heat B when Behemoth was flipped, could not self-right and its opponent Pitbull won by default. For Series 8, a group of five large spikes forms one of the four main hazards of the arena. They are powerful and large enough to lift and trap robots for a brief moment (as happened to Bonk in the opening episode), but are not as fast as their predecessors. In theory, this will avoid the sort of upsets seen in Series 3. One spike 'hole' is capable of emitting sparks. The Perimeter Patrol Zone (commonly known as PPZs) - The Second Wars only – A narrow band around the perimeter of the arena that replaced the Patrol Zones. A competitor robot that entered this area was open to attack by any or all of the House Robots stationed there. The Pit of Oblivion - The Second Wars onwards - Arguably the arena's most iconic feature, this was a 4-foot (1.2 m) square hole in the arena floor, painted black on the inside and partially filled with old tyres. If a robot drove, fell, or was pushed into the Pit, it would be instantly eliminated. In The Second Wars, pits were added to both lanes of The Gauntlet. For The Third Wars the Pit was open during the first two rounds of each heat, then covered during the heat final and following matches. In The Fourth Wars, the Pit was redesigned, with a yellow-and-black chevron-tape outline and was covered until halfway into a battle, whereupon it would "descend". From its very first appearance in The Second Wars, the Pit included a small pyrotechnic "explosion" that formed a large ball of white smoke. This would activate when a robot fell into the Pit, primarily used to show that a competitor had fallen in. This was changed to a small firework explosion for The Third Wars but the smoke returned for The Fourth Wars and remained until the end. From Extreme 1 onwards there was a device on the arena wall that competitor or house robots could use to activate the pit opening. In Extreme and The Fifth Wars that device was a tyre. For The Sixth Wars the tyre was replaced by a metal bumper. The tyre returned in Extreme 2 and remained for the remainder of the shows' run. The pit was enlarged and given an LED decoration on the inside for the eighth series, with the pyrotechnic no longer used. Since Series 9, the pyrotechnics have been added back to the Pit. Flame Pit - The Second Wars onwards - A large square grill located close to the right bottom corner of the arena. Used to set fire to flammable robots and damage electronics. 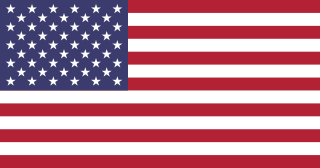 For the eighth series, this was moved to the upper left corner of the arena. The Corner Patrol Zones (commonly known as CPZs) - The Third Wars onwards - the House Robots were now confined to the four corners of the arena much like in The First Wars. Which house robot was used in which battle was defined by a rota system but would also sometimes depend on if a house robot was being repaired. In The Fourth Wars, the house robots switched to a rota system of Shunt, Matilda, Sgt. Bash and Dead Metal. Sir Killalot consistently appeared every round excepting battles 3 & 4 of the War of Independence. From The Fifth Wars and Extreme 1 onwards only two house robots were allowed in the arena at a time and this moved in a rota through all of the machines. However some House Robots did not appear in a show or on some occasions missed several shows before making an appearance. For Series 8, the CPZs are larger and L-shaped. The house robots no longer attack competitors who enter any CPZ, but stick to guarding their own. The Floor Flipper - The Third Wars onwards - A powerful pneumatic flipper set into the floor, capable of throwing a robot across the arena. It was generally only used on robots that had already been defeated, but was occasionally fired during events such as the House Robot Rebellion. When originally introduced, it just looked like a part of the arena floor. For The Fourth Wars the flipper was given a yellow/black paint scheme similar to the redesigned Pit of Oblivion. For Extreme 1/Series 5 the power of the flipper increased, allowing it to hurl even the heaviest robots into the air and flip featherweight robots out of the arena. For Series 8, this is no longer used as a coup de grace for defeated robots, but fires independently during a fight. It is positioned diagonally on the floor and is capable not only of launching robots into the air but also trapping robots as it closes. Angle Grinders - The Third Wars and Extreme 1 to The Seventh Wars - Abrasive grinding wheels built into the arena railings. The grinders were replaced with small pneumatic spikes in The Fourth Wars but brought back from Extreme 1 onwards. Pneumatic Spikes - The Fourth Wars only - As mentioned above, they replaced the Angle Grinders but proved ineffective so were omitted after one series. CO2 geysers - The Fifth Wars and Extreme 1 onwards - High pressure CO2 outlets designed to cause internal damage to robots, but were more useful for extinguishing fires. The Drop Zone - The Fifth Wars and Extreme 1 to The Seventh Wars - A square on the arena floor where heavy objects (television sets, ocean buoys, refrigerators, washing machines, etc.) fell from the top of the arena. Like the Floor Flipper, it was only used robots that were already immobile. It first appeared in Series 6 and Extreme 2, although the spot where the object would fall, a black square with a yellow 'X' shape across it, first appeared in The Fifth Wars and Extreme 1. Viewers did not know the purpose of this at the time. It is believed it was due to be used in Extreme 1 but technical difficulties meant it was abandoned. The Disc of Doom - The Sixth Wars and Extreme 2 only - A circular spinning panel set into the arena floor activated by a buffer similar to the pit release. This hazard was used to disrupt a robot's driving and worked well on lighter competitors, but proved ineffective against Heavyweight robots. It first appeared in both The Sixth Wars and Extreme 2 but was removed for The Seventh Wars to be replaced by The Dial of Doom in the near future. The Dial of Doom/Doom Dial - Introduced in The Ninth Wars. A dial that will activate when the arena tyre is pressed. If the dial swings left, it will open up the pit and if the dial swings right it will activate "Rogue House Robot" which allows a house robot to leave the CPZ and attack a competitor robot for up to 10 seconds. Additionally, from the Tenth Wars, swinging right may trigger "The Fog of War" in which the arena is filled with CO2 for 10 seconds, obscuring the robots from view. Chaos 2 was the only robot to be British Champion twice and the first to flip opponent robots over the fence and out of the arena. 1 Roadblock Bodyhammer, Robot The Bruce, Recyclopse, Cunning Plan, T.R.A.C.I.E. Note: After THE BASH was found to be irreparable in the World Series after its first and only battle, it was directly replaced by Tough As Nails. Pullback and friction toys were made of all the House Robots, with the exception of Cassius Chrome as the toys had stopped production when it was introduced for The Seventh Wars and the toys would have resumed production by Series 10 but this did not happen until Hexbug did so rather late in 2018. There were also pullback and ripcord toys of Chaos 2, Dantomkia, Firestorm, Hypno-Disc, Panic Attack, Pussycat, Razer, Stinger, Tornado, Wheely Big Cheese and X-Terminator 2. Each came with an accessory. There were remote controlled versions of Shunt, Matilda, Sir Killalot and Growler. There were also smaller remote control battlers, which had "immobilisation spots" on the rear of the toy. Sgt. Bash and the competitor robot Tornado were the only two made. These were smaller than the other remote control robots mentioned above. There were customisable kit toys of the House Robot Matilda and competitors Hypno-Disc and Panic Attack. A Sergeant Bash pitstop kit was prototyped but never released. Minibots were a series of small die-cast replica robots. The range included all of the Series 5 House Robots along with competitor robots Chaos 2, Dominator 2, Firestorm III, Gemini, Hypno-Disc, Mega Morg, Panic Attack, Plunderbird 5, Pussycat, Razer, Suicidal Tendencies, Tornado, Wheely Big Cheese, Wild Thing and X-Terminator 2. They had an interactive replica arena and two additional playsets. Several VHS videos were released of the show. These included "The First Great War" a look at the making of Series 1, "The First World Championship" which was released exclusively on video at the time and the "Ultimate Warrior Collection" featuring exclusive access to the teams of Chaos 2, Hypno-Disc and Razer, along with footage of their battles. Along the same lines an "Ultimate Archive Collection" was released showing exclusive footage of the House Robots and their operators along with some of their greatest battles and most embarrassing moments. The Ultimate Warrior Collection, Ultimate Archive Collection and First Great War were also released on DVD. The footage and content remained the same as the VHS releases. Series 8 was released on DVD and Blu-ray on 29 August 2016, making it the first full series of Robot Wars to be released on home media. It was later released digitally. Series 9 and 10, along with the "Battle of the Stars" specials, were released on 11 December 2017 as a 5-disc DVD box set. A huge array of other merchandise was produced due to the success of the show. Items available included mugs, glasses, mobile phone covers, toiletries, stationery, clocks, watches, bedding, curtains and clothing. The show even produced an unsuccessful single, which peaked at number 51 in the UK singles charts in December 2000, called "Sir Killalot Vs. Robo Babe - Robot Wars (Android Love)". A custom made game officially licensed under Robot Wars LLC was started on in October 2013, using the Robot Arena 2 video game as the base engine. It featured many robots from the TV series as well as robots competing in the newer live events. It also included the original Robot Wars arena and various live arenas. It was released to the public in September 2015 and an updated version which included more robots was released in February 2016. A smaller update was released in January 2017, adding two new robots. Another update came in August 2017 which added the new Robot Wars arena from the current series and another new arena as well as some unreleased robots from the beta and robots that were due to be released in a cancelled expansion. It is only available for Microsoft Windows. All episodes were announced by Jonathan Pearce. All Extreme episodes premiered on BBC Choice. Robot Fighting League - competitions in the U.S., Canada and Brazil. 1 2 For series 5 and Extreme series 1, Martin Smith, Myra Wilson and Mat Irvine took it in turns. ↑ "Robot Wars: Grand Champions". TV.com. Retrieved 2013-12-01. 1 2 "Robot Wars Activated on Xbox". BBC. Retrieved 2013-12-01. ↑ "Home - Robot Wars". Roamingrobots.co.uk. Retrieved 2017-04-27. ↑ "History". Extreme Robots. Retrieved 2017-04-27. ↑ "Entertainment - Robot Wars leaves BBC". BBC. 25 March 2003. ↑ John Plunkett. "BBC2's Robot Wars attracts more viewers than Top Gear reboot finale | Media". The Guardian . Retrieved 2017-04-27. ↑ "Robot Wars has been cancelled by the BBC after three series". 16 March 2018. 1 2 "Robot Wars History". Marc Thorpe. Retrieved 2006-11-19. 1 2 "Robot Wars History". RobotCombat.com. Retrieved 2006-11-19. ↑ "Interview with Craig Charles". outlineonline.co.uk. Retrieved 2016-03-07. ↑ "Saturday night switch for Robot Wars". The Guardian. 21 November 2003. Retrieved 30 July 2016. ↑ "Robot Wars rebooted for BBC Two". BBC. Retrieved 2016-01-13. ↑ Graeme Virtue. "There will be shrapnel: the return of Robot Wars | Television & radio". The Guardian . Retrieved 2017-04-27. ↑ "VIDEO: Robot Wars set to return to our screens ... filmed in a warehouse in Renfrew°". The Herald. Glasgow. 7 February 2016. Retrieved 2016-03-21. ↑ "Robot Wars 2017: Is new series winning over critics? | The Week UK". Theweek.co.uk. 2017-03-06. Retrieved 2017-04-27. ↑ Harrison, Ellie (2016-12-02). "Robot Wars: Battle of the Stars line-up: Robbie Savage and the Brownlee brothers join Christmas show". Radio Times. Retrieved 2017-04-27. ↑ "BBC Two - Robot Wars - Episode guide". BBC. 1970-01-01. Retrieved 2017-04-27. ↑ "BBC Two - Robot Wars, Series 9: Teaser". BBC. Retrieved 2017-04-27. ↑ "Robot Wars has just been cancelled again by the BBC and the fans are mad". inews. Retrieved 2019-02-22. ↑ "The Show - Robot Wars". Robotwars.tv. Retrieved 2016-07-16. ↑ "Robot Wars Press Pack" (PDF). BBC Two. Retrieved 12 September 2016. 1 2 "Robot Wars". SphereTV. Archived from the original on 5 December 2006. Retrieved 18 November 2006. 1 2 "The Presenters". Robots Rule. Retrieved 2006-11-18. ↑ "Dave Lister Biography". The SadGeezers Guide. Archived from the original on 2006-10-21. Retrieved 2006-11-19. ↑ "Philippa Forrester". BBC Radio Bristol. Retrieved 2006-11-19. ↑ "Philippa Forrester". IMDb. Retrieved 2006-11-19. ↑ "Jonathan Pearce | Metro News". Metro. UK. 2009-10-27. Retrieved 2013-12-01. ↑ "Robot Wars is Finally Coming Back to BBC After 12 Years". screenrant.com. 13 January 2016. Retrieved 2016-03-03. ↑ "Robot Wars returns: How well do you remember the House Robots?". Metro. 14 January 2016. Retrieved 2016-03-01. ↑ Gill, James (23 June 2016). "The first proper look at the upgraded 2016 Robot Wars House Robots". Radio Times. Retrieved 12 July 2016. ↑ "Robot wars battle arena case decided". The Daily Telegraph. London. 8 February 2010. ↑ "BBC Robot Wars - Page 9". Fightingrobots.co.uk. Retrieved 2017-04-27. ↑ "Trading Robot". Trading Club. Retrieved 2017-05-13. Wikimedia Commons has media related to Robot Wars . BattleBots is an American robot combat television series. Competitors design and operate remote-controlled armed and armored machines designed to fight in an arena combat elimination tournament. For five seasons, BattleBots aired on the American Comedy Central and was hosted by Bil Dwyer, Sean Salisbury, and Tim Green. Comedy Central's first season premiered on August 23, 2000, and its fifth and last season ended on December 21, 2002. 2, which provides the power for the weapon. The robot has been reincarnated several times over the years, previously appearing as Robot The Bruce and Chaos. Its flipper was also used as a self-righting mechanism when the robot was inverted, flipping the entire robot over in a half-somersault so it could continue fighting. 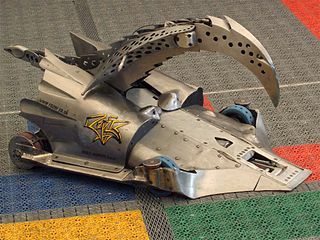 Typhoon 2 was a robot in the UK television series Robot Wars, noteworthy for being the final champion of the show before it was cancelled. It was a full-body spinner with cutting claws. In two battles in series 7, which it competed in, it knocked out the arena wall, causing the match to restart. It was created by 870 Dreghorn Squadron's Air Cadets from the Air Training Corps and painted to resemble the RAF crest. Named after the Eurofighter Typhoon. The team also had a 3-time middleweight champion called Typhoon, a Lightweight called Typhoon Thunder which also makes Typhoon Twins with Typhoon Lightning, and a featherweight called Typhoon Cadet. Gary Cairns, the team captain, later ran a 3D Printing business and fought in the 2016 Robot Wars with PP3D, which reached the second round group stage in its heat, but lost, ironically, to Storm 2 in the decisive battle, before losing at the same stage a year later due to control problems in its battles. 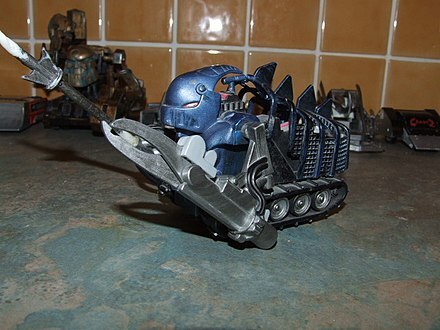 X-Terminator was a fighting robot which competed in Robot Wars since series 3. For Series 3 it was painted red, although in series 4 onwards it was silver. The armour was made of aluminium. It used to be armed with an axe and flipping scoop for series 3-6, but for series 7 Marlon Pritchard and Simon Baldwin changed it to a vertical cutting disc. X-Terminator's best result was coming 4th Place in Robot Wars Series 7. Robot Wars: Arenas Of Destruction is a 2001 action game published by BBC Multimedia and released for the PlayStation 2 and Microsoft Windows, based on the BBC television series, Robot Wars. Rescue Robots is a British game show, produced by Mentorn and shown on ITV in 2003, presented by Anna Williamson. One series of 15 episodes was produced but only 7 episodes were aired. Robot Wars: Extreme Destruction is an action game developed by Climax Development and published by BBC Multimedia under their game development label Gamezlab in 2002 for the Game Boy Advance, Microsoft Windows and Xbox. It was given a release in the run-up to Christmas to build on the success of the three previous games, which had sold over 250,000 copies. In robot combat, a self-righting mechanism or srimech is a device used to re-right a robot should it get flipped. Biohazard of BattleBots, was the first robot to self-right. Robot Wars: Advanced Destruction is the third video game based on the British game show Robot Wars. It was the third of four games based on the show, with the first three selling over 250,000 copies. It was developed by Crawfish Interactive and published by BBC Multimedia and was released exclusively for the Game Boy Advance in 2001. It was also released in the US by Vivendi Universal Games. The game is based on Series 4 of Robot Wars. Thomas Michael Gillan "Tom" Gutteridge is a British television director, producer and executive. He was formerly Chief Executive of FremantleMedia NA, having previously been founder and Chief Executive of Mentorn, from 1985 to 2001. In 2016 he was appointed Executive Producer of the television series BattleBots, which, after two seasons on ABC, in 2018 moved to the Discovery and Science Channels. He started his career as a BBC journalist. Pussycat was a robot that appeared in the TV show Robot Wars. It was unique as it was a pyramid shaped robot that could drive on its base or on either side or even on the sides of its wheels until it flipped back onto the tyres. It made its debut in the Third Wars and competed in all series from then onward, bar the Sixth Wars, until the show's final series, the Seventh Wars. Slicer was a robot from the Netherlands that appeared in the Dutch version of TV show Robot Wars. Named after a meat slicer because of its weaponry, a spinning drum, it won the first series but did not return for the second, thus being undefeated. in the process it was one of the few robots to never lose a battle. The team consisted of Erik de Vrijer, who previously entered the First World Championship in UK Series 3 under Techno-Lease, and Jos Boon.